On my journey through the Canadian Rockies there were many images on my 'hit list' and this was one of them. A lone canoe, tiny against the vastness of the landscape surrounding it. 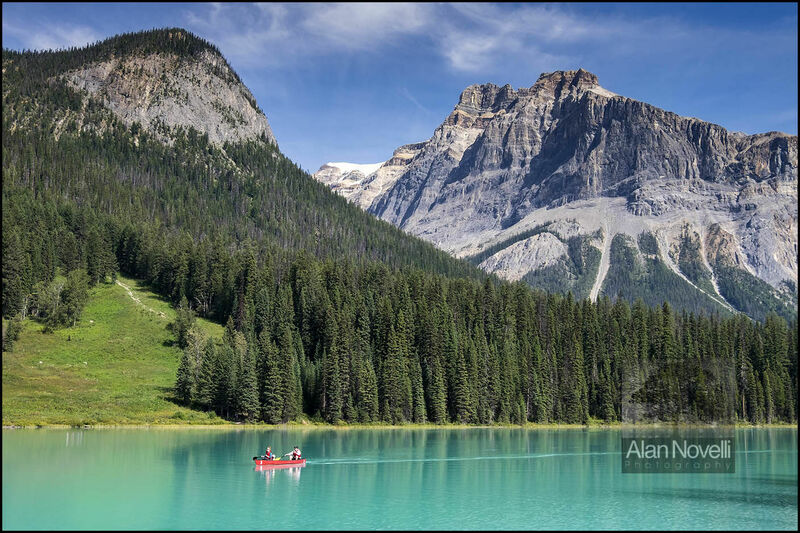 In this image, the clarity of the lake, huge mountain peaks and pine forested shores are combined to illustrate many concepts including: adventure; togetherness; freedom and exploration.